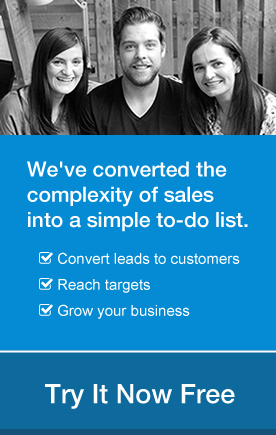 Managing a large number of contacts can be a daunting task. We know that you’d much rather be selling to your contacts than updating their profiles – it is what you do best after all! 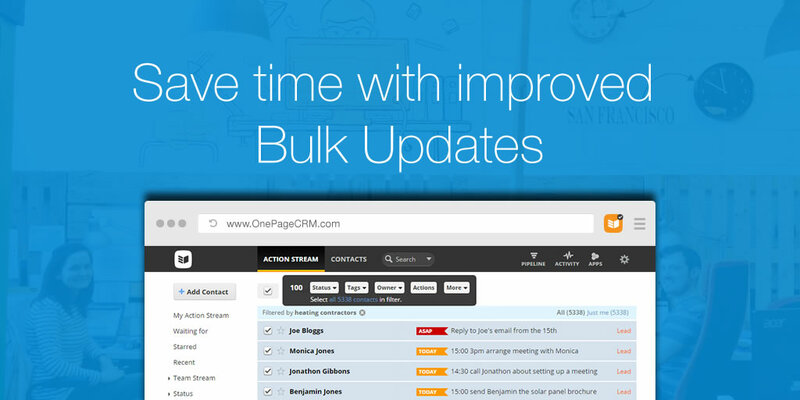 At OnePageCRM, we’re focusing on keeping the admin to a minimum by adding improved functionality to our Bulk Updates tool. We’ve already implemented a Bulk Update feature to speed up managing multiple contacts. What about those cases when you’ve collected hundreds or thousands of leads on a good day at a trade show and you need to update all of them quickly? 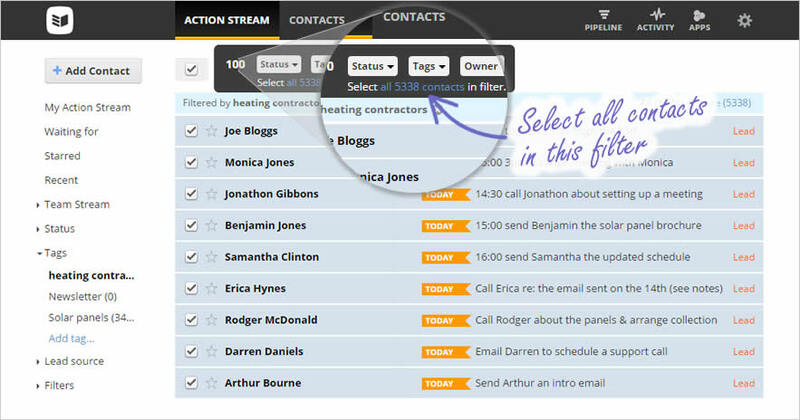 With a new ‘Select all contacts feature in bulk panel’ we’ve decreased the selection process to a single click. That means more time for making sales calls! How does the Bulk Updates tool work? Very cool new feature, folks!